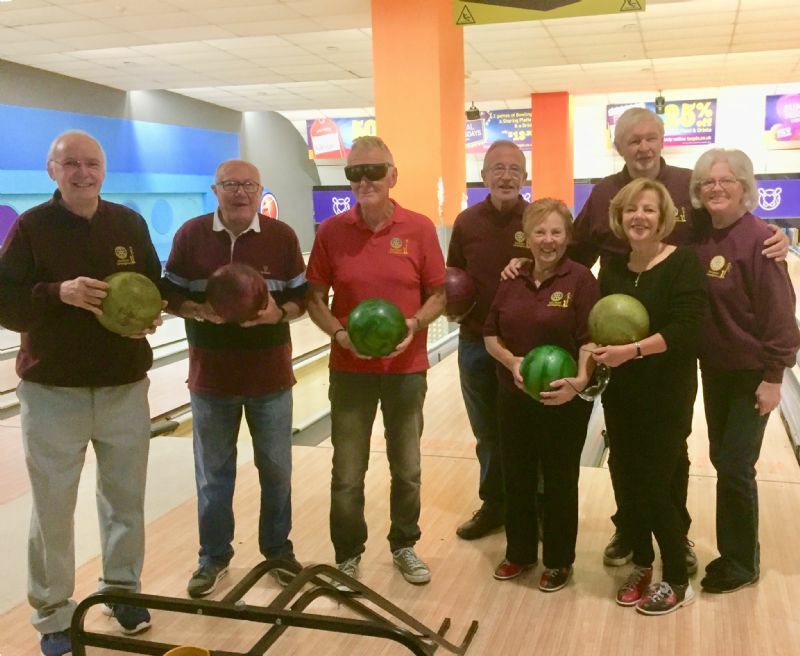 Members of Stockport Lamplighter who recently took part in the annual blind bowling competition organised by Walthew House, a Centre for blind deaf adults in Stockport. Participants had to wear various styles of goggles depicting differing sight losses and hopefully keep their bowls within the lanes. Not an easy task ! Some high scores were recorded as well as some obvious low ones. Lamplighters two teams had an enjoyable, fun morning whilst helping support this worthy cause.